✮ ITALIAN Vtg TONY PEROTTI Black Leather Bag Cross Body Satchel MULTI-SECTIONS! “Tony Perotti” Italian Designer Brown 100% Fine Grain Leather Purse BNIB!!! 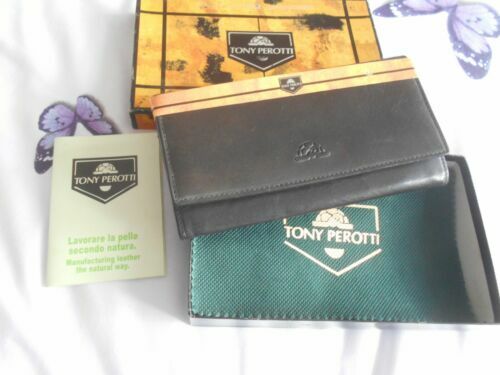 “Tony Perotti” Italian Designer Ladies Black Fine Grain Leather Purse Wallet!! !